Insulation crepe paper is one of the most important solid insulation materials used in transformers. Its quality directly influences the life span of the transformer. Brand SUZERAIN, AMOTFORS, TOMOEGAWA, RAMAN, ETC. Transformers: This crepe paper is used as an insulation in manufacture of oil cooled transformers, current transformers of types IMB, CT, CVT, etc. as leads and shields. 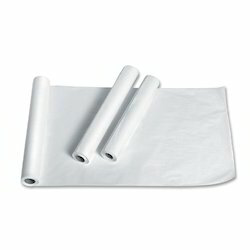 This crepe paper has 300% more strength in mechanical and cross mechanical directions and hence is more resistant to breakage. It can also take various shapes of the surface being insulated. Crepe paper also has greater surface area which helps to retain more oil and hence lowers the working temperature of the transformer. Crepe Paper Covered Copper Conductors for Transformers: This Crepe Paper is used to cover copper conductors having various cross sectional shapes. This paper is used to cover copper conductors bent at an angle of 180 DEGREES. As a result this insulation will not break or tear or crack compared to plain kraft paper insulation. Availability: The base kraft paper thicknesses on which creping is done are 1.5mil (40microns), 2.0mil (50 microns), 2.5mil (65 microns), 3.0mil (75 microns), 4mil (100 microns), 5.0mil (125 microns). Thickness above 5 mil can be provided as per customer’s requirement. The elongation can be supplied as per specification from 10% up to 300 %. This Crepe Paper can be supplied in Jumbo rolls of 1000mm (1 meter) width or in slitted pads as per customer requirements. 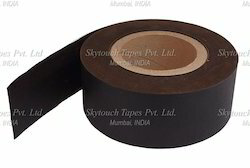 Bitumen coated crepe kraft paper for cables and construction industry. 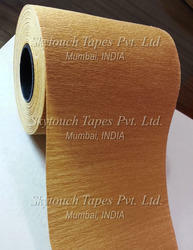 Our speciality is to produce customized prodcuts of various laminates for our customers worldwide. 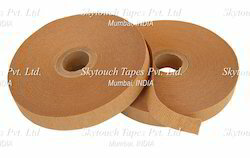 Thermally Upgraded Electrical Insulation Crepe / Kraft Paper can be supplied in required width.